Recent winter storms across the United States may be leaving millions feeling the cold, but animals on Chiweenie Farms in Aiken, South Carolina are facing the frigid weather in style. 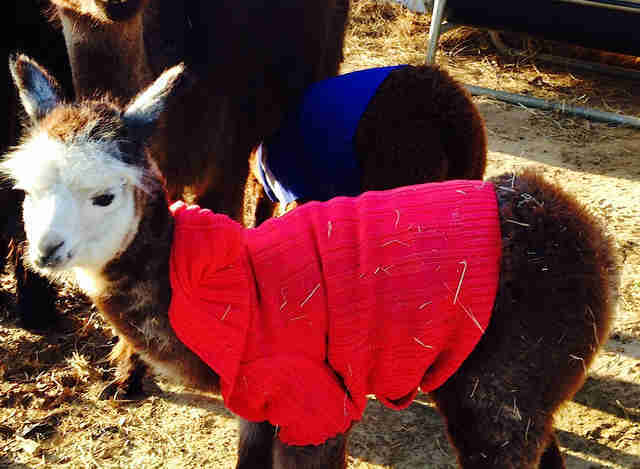 Realizing that her baby alpacas might be unequipped to handle such icy temperatures, farmer Sherry Forney planned a wardrobe for them ahead of time. 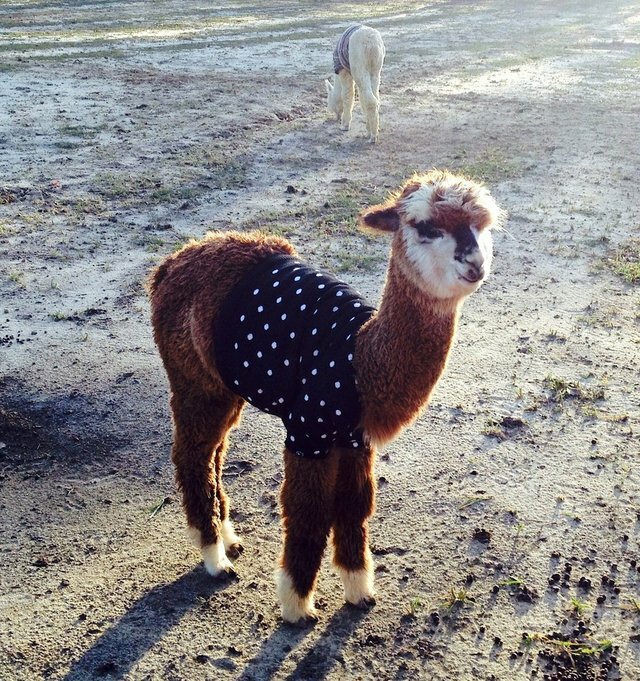 "Last fall, we got to thinking ahead about the wintertime and how the babies wouldn't have as much fleece as the adults to protect them," she tells the Aiken Standard. "We got a whole bunch of sweaters." Sherry adorned her animals with children's sweaters she bought at Goodwill, helping to shield the youngster from this spat of sub-freezing days. 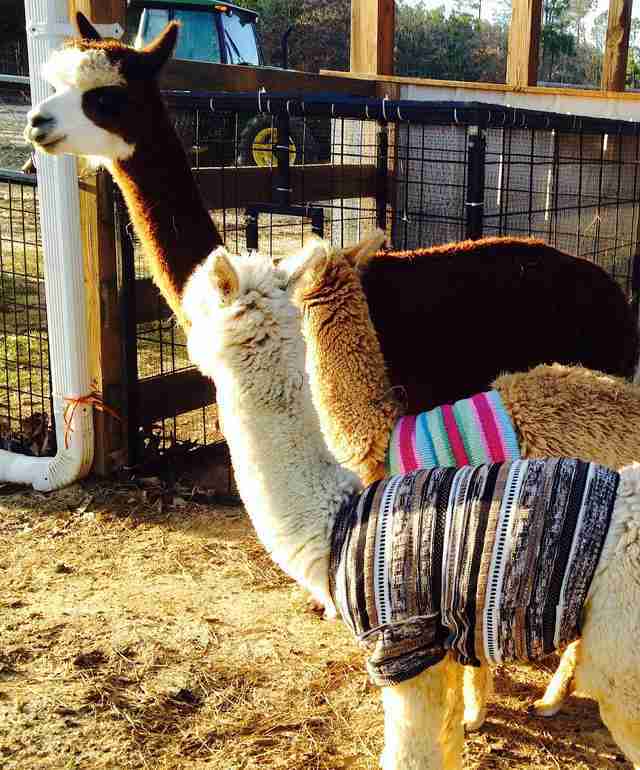 Alpacas, native to the Andes, are no stranger to cold, but Sherry wanted to be sure that they were well-protected from the usually intense weather. Animals owners have been advised to keep their pets and livestock warm, particularly during such frigid winter storms - the likes of which have even polar bears wary of venturing outside.